Well. Clearly it’s been too long. 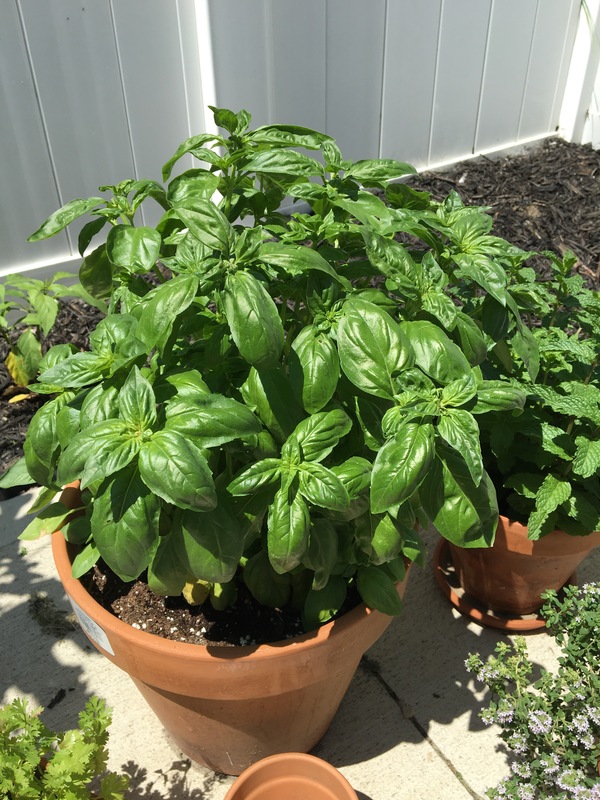 Too long since I’ve posted, and as evidenced by the photo below, too long since I’ve given this basil plant a trim. 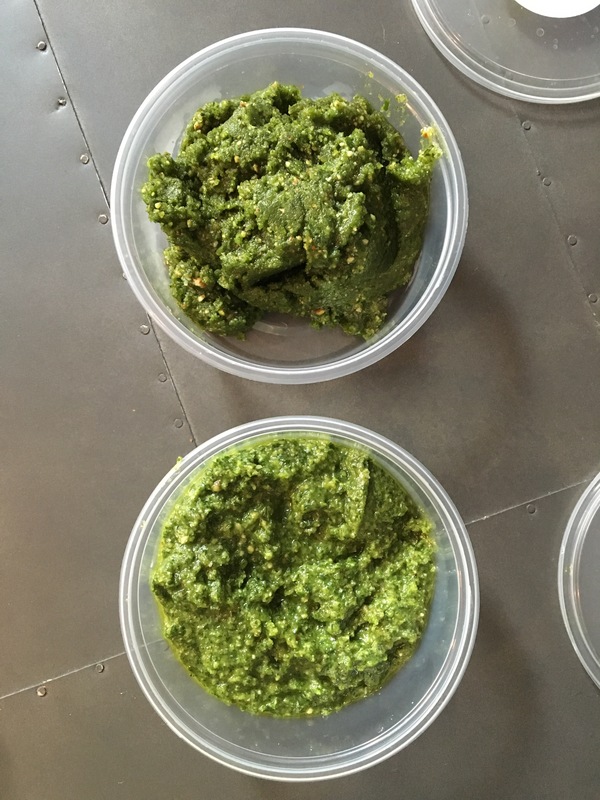 Which brings us without further ado to today’s topic … Basil Pesto! I had a bit of a melt-down/crisis of frustration when I became discouraged by the caliber of my photos. (I’m dissuaded by the fact that producing quality outcomes requires effort and practice. So unfair.) So today, all the photos in my post are brought to you without editing and without apology from my iPhone camera. Aside from the nuts, the recipes were identical. 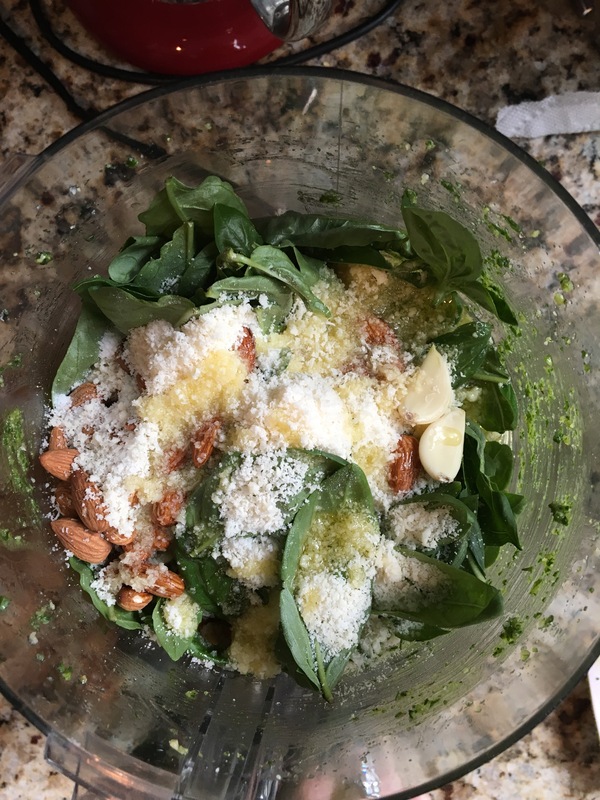 Basil, nuts, Parmesan cheese, garlic, salt, and extra virgin olive oil. It’s pretty darned simple. Two finished products – now we just have to decide how to use them! Last week I made some pesto and tossed it with warm pasta and grape tomatoes – super basic and delicious. But today I figured I should expand my horizons and try something else. The winning ticket was a very very basic tomato salad. 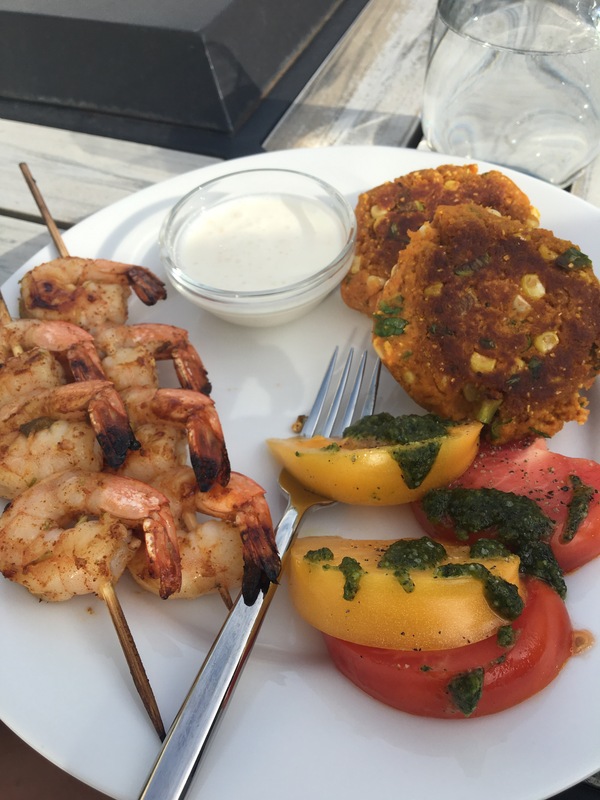 Here’s how basic it was… It contained tomatoes and pesto. You cut up the tomatoes and then you put the pesto on them. I don’t think it’s really worth writing in any greater detail than that. 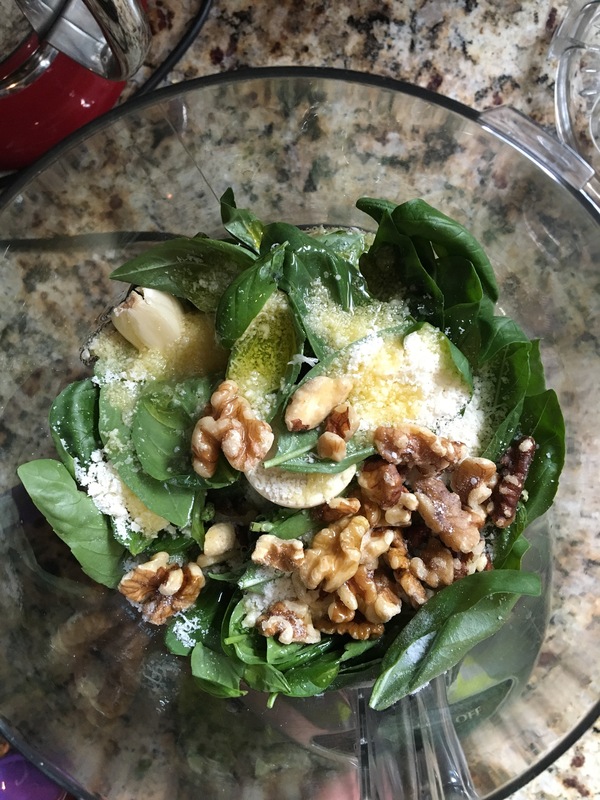 Artfully arrange all your ingredients in a food processor and process until smooth. How can something that tastes that good also be good for you? This recipe sounds like the 8th modern wonder of the world. Thanks for finally giving pesto the credit it deserves! You’re welcome!! I’m so glad! !